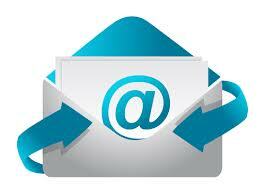 Building a quality email list is a vital asset to all companies. Building your email list is a vital aspect of online marketing that should be at the highest priority. In today’s competitive marketing, a healthy email list will be one of the crucial aspects for your business now and in the future. Your email list can be used in a number of different ways but revenue is likely the main reason for a great list. As more people become business savvy and less of them want pestering emails in their inbox, generating the right email list can be an immense challenge. In this article, we’re going to explore the different ways that you can start building your email list. We’ll talk about the top strategies that pro marketers use and cash in on a daily basis. We’ll discuss the different techniques that can make a huge difference in email list building. In the end, you’ll be able to walk away with the knowledge and experience to not only start building your email list, but also start cashing in on it. 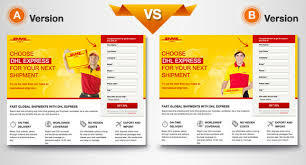 One of the most common ways that webmasters and web developers are building email list are through simple email sign up widgets or boxes. This is an email list building technique that has been used for decades. More then likely, you’ve seen about everywhere, it’s that common. This technique is still relative today because it works. You may even be using this very same technique. However, is your email sign up box capturing emails? After years of building my own email list, building client’s email list and spending thousands of hours learning, I’ve learned a thing or two about building an email list. If there is no initial value, your not going to get emails. You need to offer something for free to successfully start building your email list. 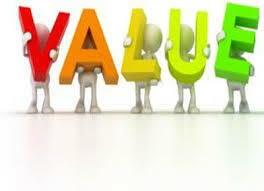 The more value that you can offer, the more likely you are to get sign-ups. So important, value is everything in building a healthy email list. There’s several different things you can do to add value to your email offer. Again, the more value you offer in this deal, the greater return you’ll see. What you offer is going to depend on the type of niche your in. If your a photographer, you could add a free package deal. If your a marketer, you may want to offer a free eBook. If you can, pack the value into the deal. You have to give them a reason to sign up. A lot of people don’t understand that you only have a few seconds to capture someone’s attention. If you don’t capture that email on the first visit, your very unlikely to ever capture it again. Countless case studies have proved it. While you want your email capture box clean, you do want it to stand out. This can usually be accomplished by a great heading or title. Once again, this depend on the niche your in and the offer. Make it stand out, make it clever and you’ll have a much higher chance of building your email list. 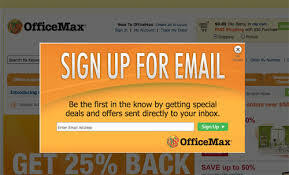 Popup email boxes are a great way to capture emails and capture someone’s complete attention on your offer. Most popup email captures can make it through without being blocked, which also increases your opportunity to build your email list. You see a lot of popup marketing ads online these days, this is the same concept. Rather then trying to get someone to click on an ad, your going to try to capture emails. Same concept, different goal. You have a few different options with your popup email capture. 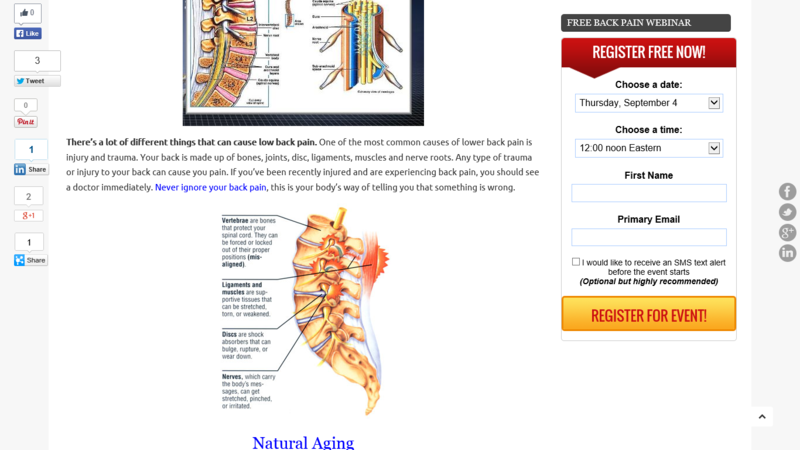 You can have your popup appear as soon as someone hits your website. You can add your popup email box on all your pages or just specific pages. You can control when, where and how they will appear to potential clients or customers. You can delay them, what ever the need may be. Lastly, you can set up what is known as an exit popup. When someone is about to leave your website, your popup will appear. I can’t express how important it’s to capture your emails from first visits. I’ll discuss this a little more later in the article. 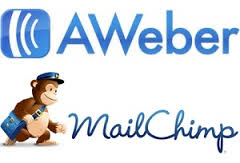 For those of you using Aweber, Mailchimp or other email marketing services, you can integrate your email forms to your website. I’m a WordPress expert, I know you can on WordPress. If your on Joomla, Drupal, or GoDaddy, I would think that you can still do it. You may have to add some extra code but I’m not 100 percent sure. 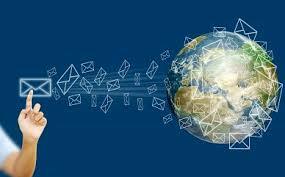 Integrating your email responder with your website will make life easier for you and more organized. You can have multiple list running and you’ll be able to keep your list and subscribers separate as needed. Account registrations are the most common way to capture an email. Most websites allow you to register and an email address is always required. Some websites don’t require you to verify your email but most do. For the most part, I’m referring to general websites and forums. Account registrations are a great way to build an email list. You should be aware that automated software and spammers will fill up your list unless you make the appropriate changed needed to protect your website. If you’ve worked with a WordPress website, you know this all too well. Over 70 percent of marketers believe that account registrations are a great way to build an email list fast and build a high-quality list as well. Nearly all websites have account registrations and that is why. How about comment subscribers? Comment subscribers are another effective technique for building an email list. Due to Google algorithm changes, many websites are no longing offering comments. Other sites have switched to more protected comment technology. Even so, there’s still plenty of websites out there building email list with comment subscriber options within or around the comment field. All you have to do is have a checkbox at your comment field where commenters can opt-in to your list. It’s that simple and studies have shown that it’s still effective. Making opting-in easy is also an effective technique for building your email list. There’s a few different clever ways of doing this. When anyone that visits your website request anything, make sure your taking a full name and email. These email list building techniques are often used by non-ecommerce websites, useful techniques used for B2B marketers. They may request a specific download, price quotes, informational guides, brochures, partnerships, anything to that nature. Not only will you likely get the email and name, this is a quality lead to add to your list. A/B testing is not optional, it is a must-do. A/B testing is a vital solution to anyone building a list. Split testing helps you understand your marketing efforts, list building efforts. Data and analytics, two things you can’t possibly go without. With A/B testing, you’ll be able to see which one converts the highest. You can test to see which opt-in is getting the most subscribers and sign ups. Thanks for taking the time to read our article on email list building. An email list is an asset. Take these email list building techniques and run your A/B test. Take the time to give your visitors multiple ways to sign up. It may take a little time to get everything tested and fully optimized but the time invested will be well worth it when your done. You’ll see more subscribers and higher conversions. I’ll leave you with this, never stop improving. Even if you have a opt in or popup converting at 70 percent, continue to improve it. If you build your email list correctly, it will pay off for many years to come. Take the time to invest in analytics. There’s a lot of great tools out there, great software to help you with your email list building and conversions. If you have any questions, concerns or suggestions, feel free to comment. If you found this article useful, tell a friend. Be sure to stop by our Facebook and Twitter platforms for more great marketing tips.